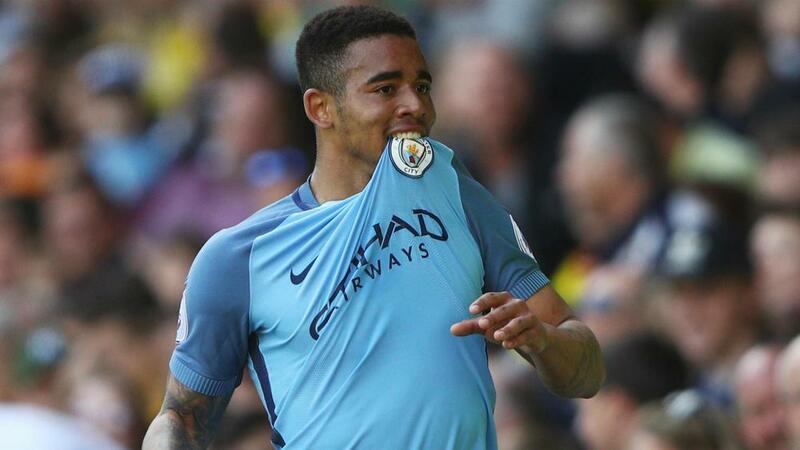 Gabriel Jesus, Sergio Aguero and Raheem Sterling scored as Manchester City eased to an impressive friendly win over West Ham. Manchester City sounded a warning to its title rivals with a highly polished 3-0 pre-season win over West Ham in Iceland. Pep Guardiola's side hit top form in its final outing ahead of the new Premier League campaign as Sergio Aguero and Raheem Sterling added to Gabriel Jesus' early opener. West Ham was outclassed from start to finish and only an impressive string of saves from Joe Hart – on loan from City - prevented more damage. The defeat could prove even more costly for the Hammers after Andre Ayew and new signing Marko Arnautovic both picked up knocks, while Javier Hernandez saw little of the ball in his 45 minutes off the bench. There was little Hart could do about City's eighth-minute opener as Kevin De Bruyne picked out a wide-open Jesus, who did enough to force the ball home from close range. The England shot-stopper did produce a smart reaction five minutes later when Aguero attempted to sneak a shot inside the near post. City was in complete control throughout the opening 25 minutes and only some desperate West Ham scrambling prevented Guardiola’s men from extending their lead, with Jesus unable to find a team-mate after shoving Angelo Ogbonna off the ball. Former City man Pablo Zabaleta made West Ham's first incursion into the opposition penalty area on the half-hour but Spanish striker Toni Martinez headed harmlessly over the crossbar. Leroy Sane responded by beating two markers and flashing a low attempt across the face of goal before Hart was called into action once more on the stroke of half-time, deflecting Aguero's fierce low strike away from the near post. Slaven Bilic made three changes at the break and his side appeared to have found a footing until the 56th minute, when David Silva linked up with Sane on the left and supplied a superb low cross for Aguero to tuck away. Despite conceding the second, Hart continued his fine performance by denying Silva a goal of his own with a strong hand down to his left. City did get its third soon after though as a fortuitous deflection fell kindly for substitute Sterling to volley home with 20 minutes remaining, although the winger's former team-mate did well to prevent him from heading in a second moments later. Bilic's side began to cause more trouble as the match wore on but lacked the cutting edge to create clear opportunities, with Hernandez guilty of squandering a rare breakaway in the closing stages. The result leaves the London club with plenty of work to do before heading to Old Trafford on the opening weekend of the Premier League season, while City look in good shape for their trip to newly-promoted Brighton and Hove Albion next weekend.